The US Dollar finally caught a break and found some bids, after having a tough time last week. It is making some gains today, although this sort of price action doesn’t point to a reverse, leading me to think of going long on EUR/USD. Bitcoin, on the other hand, is flirting with the $10,000 level. Anyone have the guts to try a short? FED member Powell is giving a speech in about an hour and USD traders seem to have taken notice. Yellen is expected to leave her position next year and Powell is the strongest candidate to replace her. The US Dollar seems to be enjoying the fact that he is speaking today. We also have the US consumer confidence report which is an important fundamental forex event. That is also having its impact on this latest USD retrace higher. Although, the price action is telling us that the retrace might have come close to an end now. The USD has gained some considerable ground during the London trading session, but in the last few hours, the Buck has stopped advancing. USD/JPY has climbed since late last evening, but it has reached the 50 and 100 SMAs on the hourly chart. These moving averages are limiting the upside and at the moment it looks like this forex pair is about to turn lower. It is overbought, so the chart setup is bearish. We have an open sell forex signal in this pair, so we want this pair to move lower. Bitcoin Almost Made It to $10,000. Let’s Sell the Hell Out of It, Right? 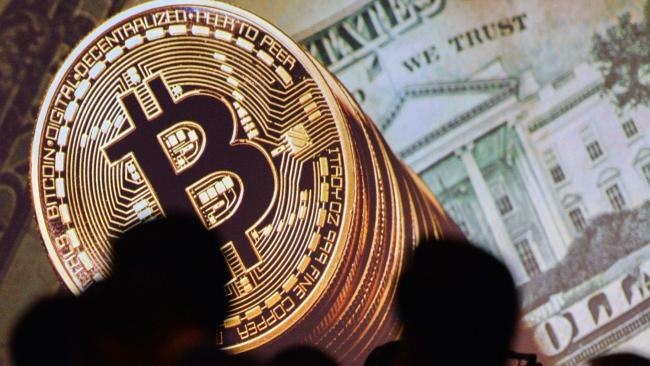 Bitcoin has climbed and climbed nonstop in the last two and a half months when it briefly broke below the $3,000 level back in September. That’s a $7,000 climb in less than three months, meaning Bitcoin has increased its value by more than 300% during this time. It dipped again this month when it failed to implement the hard fork SegWItx2 and reached $5,450. However, buyers saw that as another golden opportunity to get in on the long train and now we’re just below $10,000. Those dives were great opportunities to go long. The first time the 100 SM (green) provided support, the second time it was the 50 SMA (yellow). Those were good signals for buyers and, at the time, I highlighted those levels. Unfortunately, we didn’t join this rally. There’s another trade opportunity forming now in Bitcoin, but on the short side. It is a dangerous trade since it is against the trend, but this game is always dangerous – there’s no gain without pain. Shorting below the $10,000 level and aiming for a considerable retrace down is how to play it this time, with a stop above $10,000. We think this might be a good opportunity to grab some good pips by shorting Bitcoin below $10,000. As I said though, it is a dangerous trade, so you have to take that decision for yourself because I’m not sure I will trade this chart setup. Instead, we’re trading EUR/USD. A similar chart pattern to USD/JPY appears on EUR/USD, but on the opposite side this time. 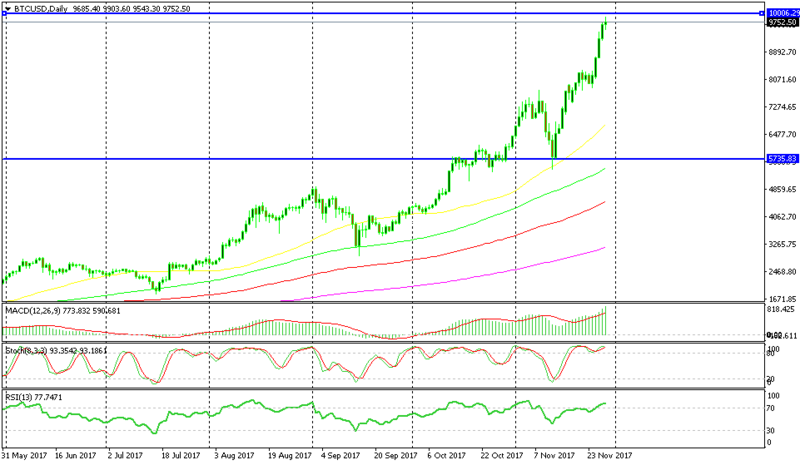 The H4 chart is oversold. It looks like the retrace lower is over and this forex pair has already started to climb up. The next FED chairman Powell will be speaking in about an hour and his comments might send the market running. We will keep an eye on him and I suggest that you choose you forex trades very carefully.